Addiction is a chronic, progressive disease characterized by craving, abnormal goal-directed behaviours, loss of control including the ability to regularly abstain, relapse, and use despite adverse consequences. The human cost is enormous: a 2013 World Health Organization report estimated that drugs accounted for over 12% of deaths worldwide in 2002. The pathologies of addiction are not clear. It is known that the brain circuitry and its neurotransmitters undergo permanent changes. It is certain, though, that the nucleus accumbens and the ventral tegmental area are involved in developing and maintaining addiction. Evidence shows that there is a strong correlation between the ventral tegmental area and triggering behavioural sensitization in addiction. On the other hand, there is evidence that the nucleus accumbens is critical in the expression of behavioural sensitization. Dopamine plays an important role in addiction as the dopaminergic reward pathways are targeted by every drug of abuse. More specifically, dopamine D2 autoreceptors have been found to play a modulatory role in addiction by regulating dopamine levels, drug sensitivity and performance on cognitive tasks. In addition, a “window of vulnerability” exists for addiction in the adolescent years. A number of factors are implicated, including the rapid structural and development changes occurring in adolescence and rapid changes in social behaviour and increased risk-taking. Binge drinking is of particular concern given its popularity with this age group, and is associated with an increased likelihood of addiction and depression. While genetic factors and age of initiation are factors in the probability of addiction, the particular drug of abuse carries different risk factors for addiction with estimates ranging from 10–40%. Specific drug pathologies are not homogeneous. Abuse of prescription drugs incorporates misuse mainly as they are the most accessible. The abused drugs include opioids such as oxycodone, tranquilizers such as Xanax, as well as stimulants such as amphetamine. Statistically, abuse begins after the age of abuse of marijuana and alcohol, which may be due to neurobiology and perhaps genetic factors specific to each. There are noted causes for abuse, which will be discussed. Methods of prevention for prescription drug abuse exist and are interrelated to reasons why Medical Toxicologists may inaccurately prescribe to individuals. Caffeine addiction is an example of substance-specific addiction (as opposed to time-specific addiction such as adolescent addiction). Caffeine exerts its action mainly through competitive inhibition of the adenosine receptor which leads to a decrease or increase in cAMP depending on the receptor subtype. Improved cognition but also craving for caffeine are believed to occur through dopamine-dependent pathways. Tolerance occurs when adenosine receptors are up-regulated. Current treatments for addiction include both behavioural and pharmaceutical approaches. Although some progress is being made, treatment efficacy is limited and better understanding is needed of the neurobiological pathways in the development and perpetuation of addiction. Current treatments for addiction include both behavioural and pharmaceutical approaches. Although some progress is being made, treatment efficacy is still limited. Successful recovery often requires the incorporation of multiple methods to create a holistic treatment plan, while adolescent addiction treatment requires additional considerations, to encompass the complex nature of addiction. Adolescence is a time of life associated with many changes both physically and behaviourally. It is defined by the World Health Organization as the age between 10-19 years of age, but more broadly, researchers define adolescence as anywhere between 10-24, which correlates to the age at which scientists feel the brain has fully matured. The behavioural changes, including risk taking and sensation seeking often associated with adolescence, concomitant with the dramatic physical changes occurring in the brain create a the window of vulnerability. The combination of adolescent-onset drug use and this vulnerability results in a significantly higher rate of lifetime addiction. If drug use is initiated under the age of 13, for example, the probability of a lifetime abuse problems is about 35%, decreasing substantially to 15% if the age of onset is 17 years old; by adulthood a person is four times less likely to have an addiction problem than the early onset users. These figures illustrate the importance in understanding the causes and implications of adolescent drug use and that adolescents seem to be highly vulnerable to forming addictions. Governments around the world are concerned with the personal, social, and health costs related to addiction and much research effort is directed towards causes and prevention. The implications of recent studies suggesting that adolescent drug onset is becoming younger are therefore particularly concerning. 1. Grant, B.F. & Dawson, D.A. Age of onset of drug use and its association with DSM-IV drug abuse and dependence: results from the national longitudinal alcohol epidemiologic survey. Journal of Substance Abuse. 10, 163-173 (1998). 2. Muck, R. et al. An overview of the effectiveness of adolescent substance abuse treatment models. Youth & Society. 33, 143-168 (2001). Caffeine is the most widely consumed psychoactive substance with approximately 80% of the American population (adults and children) ingesting it on a regular basis . It is a legal stimulant drug that affects the central nervous system and has well-recognized addictive properties  . Because of this and its high availability, the mechanisms through which it induces physical dependence (tolerance ) and triggers drug-seeking behavior are important to study. Antagonism of adenosine receptors in the brain is the most likely mechanism through which caffeine exerts its effects under normal physiological conditions. The other mechanisms are significant only at higher caffeine plasma concentration not common in everyday use (see figure 1). Therefore, this neurowiki will focus on adenosine receptors inhibition by caffeine. 1. Frary et al (2005) Food sources and intakes of caffeine in the diets of persons in the United States. J. Am. Diet. Assoc. 105, 110–113. 2. Grifﬁths, R.R., Juliano, L.M., Chausmer, A., (2003) Caffeine: pharmacology and clinical effects. In: Graham, A.W., Schultz, T.K., Mayo-Smith, M.F., Ries, R.K., Wilford, B.B. (Eds. ), Principles of Addiction Medicine, 3rd ed. American Society of Addiction Medicine, pp. 193–224. 6. Fredholm BB (1995) Astra Award Lecture. Adenosine, adenosine receptors and the actions of caffeine. Pharmacology and Toxicology, 76, 93-101. Synaptic plasticity within the mesolimbic dopamine system is known to cause critical adaptations underlying addiction. Many studies show that these neural adaptations develop after prolonged drug use over a long period time and that these adaptations can affect the brain circuitry permanently. 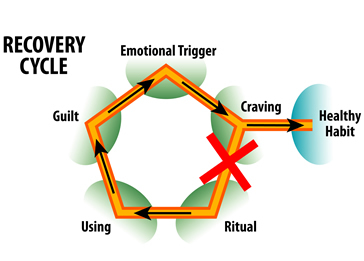 Plasticity, within the realm of addiction, not only affects the circuitry of the brain, but they can also have long-lasting effects on the individual’s behaviour. These prolonged drug experiences presented on the brain leave traces within the circuitry that lead to the development and the persistence of addiction. 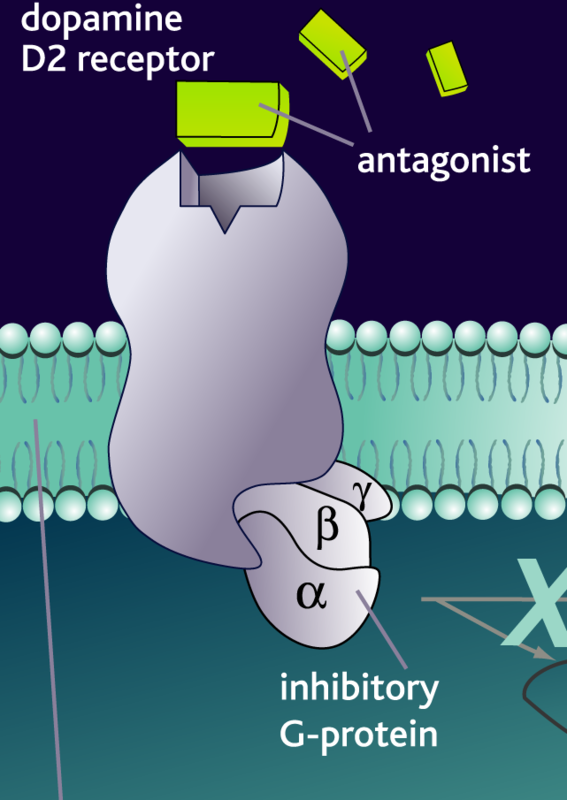 Various studies have shown that the LTP and LTD have significant roles in the learning and memory pathways, which are two basic pathways that contribute to the persistence of the behavioural abnormalities that underlie addiction, as well as the synaptic plasticity within the brain.The mesolimbic dopamine system is important, not only as a major site of that addictive drugs act on, but also as a system in converting “motivations into goal-directed actions.” Within the mesolimbic dopamine system, the ventral tegmental area, nucleus accumbens and prefrontal cortex are the major structures that are affected and changed by addictive drugs. In addition, studies have shown that other structures in the brain, such as the bed nucleus of the stria terminalis and the amygdala, as well as the hippocampus, contribute to the reward process and the learning and memory pathways. Furthermore, the neurons involved in the development of addiction play an important role by facilitating the initial changes in the brain, which lead to the permanent synaptic plasticity underlying addiction. 1. Kauer JA, Malenka RC. Synaptic plasticity and addiction. Nature. (2007) 8:844-858. 2. Nestler EJ. Molecular basis of long-term plasticity underlying addiction. Nature Reviews Neuroscience. (2001) 2:119-128. 3. Lücher C, Malenka RC. Drug-evoked synaptic plasticity in addiction: from molecular changes to circuit remodeling. Neuron. (2011) 69(4):650-663. Addiction presents itself in numerous forms. In fact, there are a plethora of addictions, such as caffeine-addiction, that are already known to the public. Of these possible addictions, prescription drug addiction is a pressing matter. It is prevalent in adolescent demographics (adolescents-and-addiction). In fact, prescription drug abuse is becoming a major public health issue. This matter is of vital importance due to the fact that it is predominant in the youth of society for the focal reason of possessing the characteristic of being highly accessible. There is an abundance of abused drugs. Some of these drugs include opioids (i.e., Morphine), tranquilizers (i.e., Valium), as well as stimulants (i.e., Ritalin). Prescription drug addiction demonstrates high relevance to society and as such, is not taken lightly in regards to its detrimental effects on the adolescent demographic. 1. Zosel, A., Bartelson, B. B., Bailey, E., Lowenstein, S., & Dart, R. (2013). Characterization of adolescent prescription drug abuse and misuse using the researched abuse diversion and addiction-related surveillance (RADARS(®)) system. Journal of the American Academy of Child and Adolescent Psychiatry, 52(2), 196-204. 2. Mendelson, J., et al. (2008). Addiction to prescription opioids: Characteristics of the emerging epidemic and treatment with buprenorphine. Experimental and Clinical Psychopharmacology, 16(5), 435-441. 3. Lankenau, S. E., et al. (2012). Patterns of prescription drug misuse among young injection drug users. Journal of Urban Health: Bulletin of the New York Academy of Medicine, 89(6), 1004-1016. Dopamine (DA) plays an important role in addiction as the dopaminergic reward pathways are targeted by every drug of abuse. So, it is imperative to study this system and its receptors, the dopamine receptors, in order to understand the neurobiological mechanisms that underlie addiction. Specifically, dopamine D2 autoreceptors have been found to play a modulatory role in addiction by regulating dopamine levels , drug sensitivity  and performance on cognitive tasks , shown experimentally through mice knock-out models. Furthermore, drug administration itself has been implicated in modifying these mechanisms, and this modification may underlie the transition from drug use to drug addiction . Recently, research is focusing on investigating the role of genes in addiction and finding genetic markers associated with addiction and the D2 autoreceptor . 1. Bello, E. P., Mateo, Y., Gelman, D. M., Noaín, D., Shin, J. H., Low, M. J., … & Rubinstein, M. (2011). Cocaine supersensitivity and enhanced motivation for reward in mice lacking dopamine D2 autoreceptors. Nature neuroscience, 14(8), 1033-1038. 2. Briand, L. A., Flagel, S. B., Garcia-Fuster, M. J., Watson, S. J., Akil, H., Sarter, M., & Robinson, T. E. (2008). Persistent alterations in cognitive function and prefrontal dopamine D2 receptors following extended, but not limited, access to self-administered cocaine. Neuropsychopharmacology, 33(12), 2969-2980. 3. Shumay, E., Fowler, J. S., Wang, G. J., Logan, J., Alia-Klein, N., Goldstein, R. Z., … & Volkow, N. D. (2012). Repeat variation in the human PER2 gene as a new genetic marker associated with cocaine addiction and brain dopamine D2 receptor availability. Translational psychiatry, 2(3), e86. 4. Clarke, T. K., Weiss, A. R., Ferarro, T. N., Kampman, K. M., Dackis, C. A., Pettinati, H. M., … & Berrettini, W. H. (2014). The Dopamine Receptor D2 (DRD2) SNP rs1076560 is Associated with Opioid Addiction. Annals of human genetics, 78(1), 33-39. Current treatments for addiction include both behavioural and pharmacological approaches, targeting learning and memory processes as well as physiological and psychological dependence. Although progress is being made, treatment efficacy is still limited and many who seek treatment will relapse. Successful recovery often requires the incorporation of multiple methods to create a holistic treatment plan that considers the highly complex nature of addiction. This paper will explore the neurological impact of behavioural methods of treatment, as well as the development and future of medications used to inhibit withdrawal symptoms and increase treatment effects. Finally, brain stimulation will be looked at as a way to modify cortical excitability and reduce cravings in recovering addicts, which could help to reduce relapse rates. 1. Kaplan, G.B., Heinrichs, S.C., & Carey, R.J. Treatment of addiction and anxiety using extinction approaches: Neural mechanisms and their treatment implications. Pharmacol. Biochem. Behav. 97, 619-625 (2011). 2. Feil, J. & Zangem, A. Brain stimulation in the study and treatment of addiction. Neurosci Biobehav R. 34, 559-574 (2010). I think as a whole your group did an excellent job researching this topic, and all your subtopics are very cohesive and in-depth. I'm actually amazed at all the links you guys have added! It looks just like a real wikipedia article, but better. Is there a reason you chose not to look at illegal drugs? I really enjoyed reading all of the Addiction pages. You all did a great job covering various aspects of addiction and used appropriate images to enhance your work.